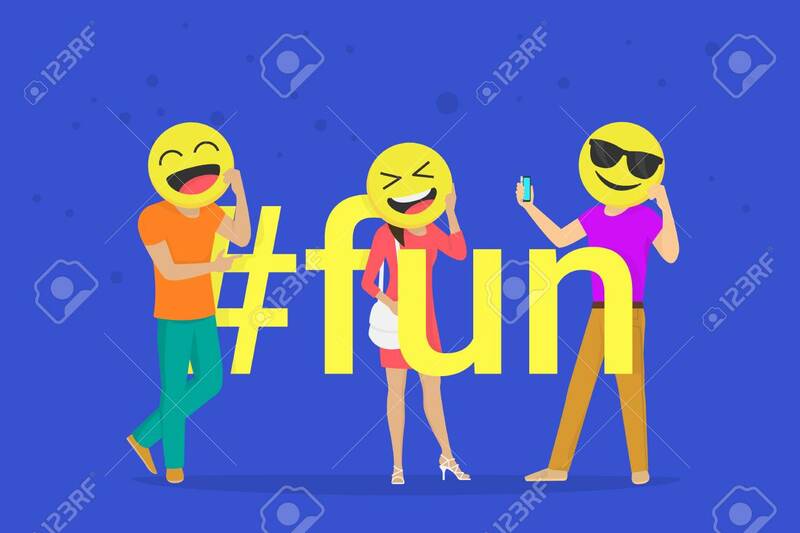 Hashtag Fun Concept Flat Vector Illustration Of Emoji Smiling Heads. Happy Man And Woman Holds Emoji Heads And Take Photos For Networks. Flat Fun People Laughing With Emoticons And A Joyful Mood Lizenzfrei Nutzbare Vektorgrafiken, Clip Arts, Illustrationen. Image 116513373.